Federal DOJ Investigation Defense Attorneys - Oberheiden, P.C. Any investigation by the Department of Justice (DOJ), whether into yourself or your business, is a very serious matter. You should take proactive steps to protect yourself and your business before any charges are filed against you. Having the right attorneys at the right time may even allow you to avoid civil or criminal charges altogether. The Department of Justice is the department within the federal government in charge of enforcing federal laws. The DOJ is headed by the United States Attorney General and is comprised of numerous federal law enforcement agencies, including the Federal Bureau of Investigation (FBI), the Bureau of Alcohol, Tobacco, Firearms, and Explosives (ATF), and the Drug Enforcement Agency (DEA). Generally, the Department of Justice’s investigation will be going on long before the individuals or entities under investigation realize that they are under investigation. One way you may find out about an investigation is through a Target Letter, which is a letter sent by the Department of Justice that informs the recipient that he or she is the target of a federal criminal investigation and asks that person to cooperate with the investigation through a proffer. Another more abrupt way you may find out about a federal investigation is when federal officials arrive at your home or office. They may be there to execute a search warrant, or they may ask to speak with you about the investigation. While investigators may suggest that they only want to speak with you as a witness, you should always assume you are the target of the investigation. Alternatively, you may find out about an investigation by receiving a grand jury subpoena. Although not everyone who receives a grand jury subpoena is the target of an investigation, receiving a subpoena is a strong indication that you are being targeted by federal investigators. If you are under investigation by the DOJ, the investigation is likely criminal in nature. You are at risk for receiving criminal penalties, such as criminal charges, prison time, probation, or criminal fines. In many cases, the way a target acts during the course of the DOJ investigation determines whether that person is charged at all. Therefore, the steps you take while the investigation is pending are often more important than the defense you put on at trial. Although most Americans can recite the language of the Miranda Warning by heart, it is easy to forget what it means when you are faced with federal investigators. You may decline to speak with investigators outside of confirming your correct name and address. Your refusal to converse with investigators cannot be used against you in later court proceedings. You can refuse a search of your house or office unless and until the police have obtained a valid search warrant. You have a right to legal counsel and the right to decline to speak with investigators outside of the presence of your lawyer. Your rights may be waived if you do not enforce them. Thus, for example, if you voluntarily allow investigators to search your house, you cannot later complain that they did not have a warrant. Never Speak with Investigators without an Attorney. While investigators may initially approach you in a casual, friendly manner, you should not mistake their demeanor as an indication that you are not the target of their investigation; federal investigators often use this tactic to entrap targets when their guard is down. The safest course is to never interact with investigators unless you have a lawyer present. Don’t Talk about Your Case. If you are under investigation by the DOJ, DOJ officials are likely building a criminal case against you. In preparing their case, they may subpoena anyone with knowledge of any of the issues to testify at a grand jury proceeding or at trial, including your friends, family, co-workers and employees. Additionally, the DOJ may subpoena written records of your communications, including texts, emails, and phone records. Therefore, any information that you communicate about your case may be used as evidence against you in a court of law. When you talk about your case, you are creating potential witnesses against you. Avoid Social Media. DOJ investigators may obtain the records of your social media accounts just like your communication records. Therefore, you should not discuss the details of your case on social media, no matter how strict you set your privacy settings. When you post on social media, you may be creating evidence that will be used against you in your case. Don’t Destroy Any Evidence. While it may be tempting to delete incriminating emails or documents once you learn the DOJ is investigating you, doing so is never a good idea. In fact, destroying documents or any type of evidence is considered obstruction of justice and may subject you to criminal charges independent of, and in addition to, any charges you may face in the FBI’s underlying investigation into you. Not only should you personally refrain from altering or destroying any evidence, including any device that may contain evidence (i.e. computer or cellular phone), you should affirmatively turn off any auto-delete functions that may affect your files and give instructions to any employees, co-workers, or family members that may have access to your files or devices to refrain from deleting or altering any documents or evidence. Don’t Wait. You do not need to wait until criminal charges are filed to hire defense counsel. To the contrary, a defense attorney will help guide you through the investigation in a way that limits or negates your exposure to criminal charges. Therefore, the sooner you hire an attorney, the more likely you will be to avoid criminal charges. Protect Yourself. An experienced defense attorney will help you fully enforce your constitutional rights. Moreover, a defense attorney will help you avoid the common but costly mistakes many targets make during an investigation, such as lying to a federal officer or obstructing justice. Your attorney will assume all communications with federal officials, including handling subpoena requests, and will determine if and when it is in your best interest to grant an interview with investigators. Find Federal Experience. If you are being investigated by the DOJ, federal investigators are handling your case, violation of federal laws are at issue, and any eventual case against you will proceed through the federal court system. Therefore, you should hire an attorney well-versed in federal laws and procedures and who has experience in federal court. You Need Someone Who Is Always Available. 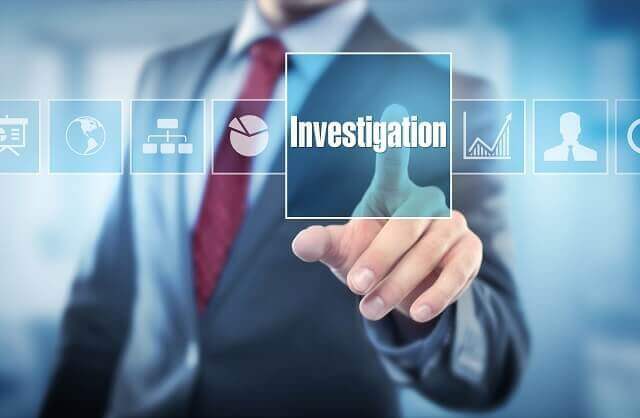 The right defense attorney will not only represent you to federal authorities but will also explain to you how the investigative process works and what you should expect. You want a lawyer who answers your questions about your case and one who listens and responds to your concerns about the investigation. This means hiring a law firm that will not wall you off from attorneys with secretaries or paralegals and whose attorneys are available to speak with you whenever you need them. Oberheiden, P.C. consists of several former Assistant United States Attorneys (AUSAs), who previously served the Department of Justice as federal prosecutors. If you are under investigation by the Department of Justice, or if you have received a target letter or a Grand Jury subpoena, please contact one of the experienced attorneys of Oberheiden, P.C. today to discuss your situation. If you are under investigation by the DOJ, you may contact Oberheiden, P.C. for a free and confidential consultation. Our attorneys are available seven days a week, even on weekends, to speak with you about how we may be able to help you with your case. Oberheiden, P.C. represents clients across the country facing DOJ investigations.